Just a reminder that there will be no games this weekend (19th April-21st April) due to Easter break. Enjoy the weekend and have a great break and we will see you again next weekend. Please check with Football South Coast website for fixtures and also the “Game Day” App if you are unaware of your team’s fixture or location. Round One his Weekend ! With the games played at home, can we please ensure that the completed team sheets are placed in the canteen. Playing Equipment – all earrings are to be removed, no taping. With the colder weather approaching Undershirts, Undergarments, Thermal Shorts are allowed as long as they are the same colour of the corresponding part or black or white. And on behalf of the Committee and Community, enjoy your first game this weekend!! 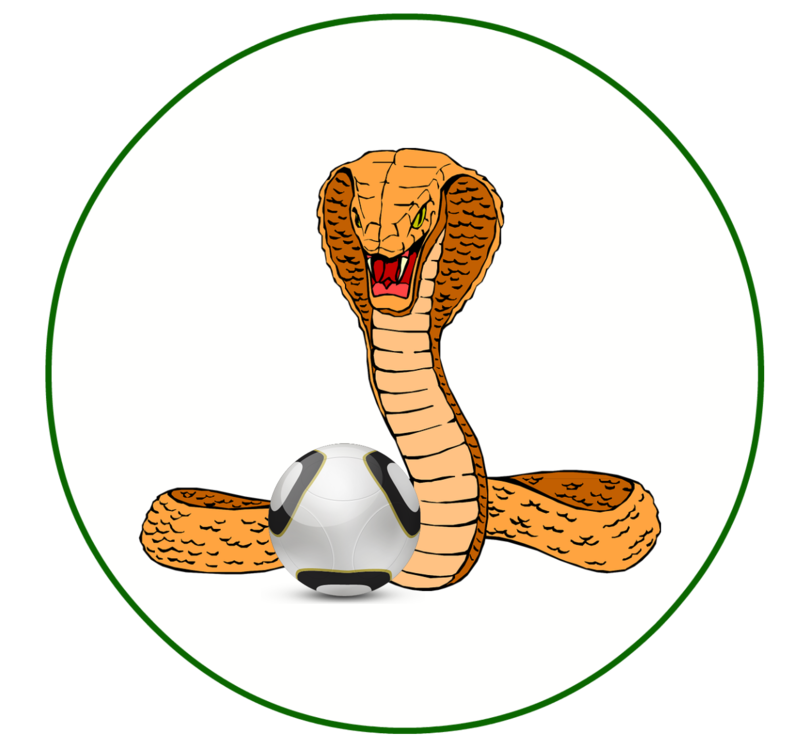 Russell Vale Junior Football Club will be conducting the annual Coaches and Managers meeting next Monday 25th March at 7pm in the Auditorium at Woonona Bulli RSL Club. It is very important that all team Coaches and Managers attend so information about the upcoming season can be shared to then forwarded onto your teams parents before ROUND 1 GAMES ON April 6th. If you intend on being a Coach or Manager and have indicated to the club that you would be doing so , please complete the registration process as a soon as possible. Along with this years Coaches and Managers , Parents are also invited to attend. 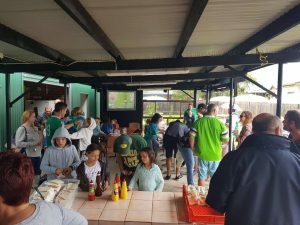 Russell Vale Junior Football Club would like to thank everyone who turned up to Woonona Bowling Club yesterday (17th March) to the Barefoot Bowls /BBQ day!!! Due to the weather we were unable to bowl but still had a great turn out of over 120 people who came and had a great time under the BBQ area and the kids out in the muddy puddles! Was a good afternoon socialising with other teams and a great way to prepare for the soccer season ahead !! Thank you to everyone who helped out on the day , the Woonona Bowling Club for their hospitality and Flip Out for their raffle prizes !!! With the Barefoot Bowls at Woonona Bowling Club coming up this Sunday Funday , along with it being St Patrick’s Day ,let’s get as much Green And White themed clothing hair,etc etc and turn the Bowlo into Russell Vale Bowlo for the day !!! Along with bowls there is plenty of fun to be had with the kids jumping castle (in the bbq area) and lots of prizes to be won throughout the afternoon. So come on down , join the club as a member, have a nice drink or two ,a bite to eat and have fun in green !! Getting ready for the Soccer, Netball or Footy season? Don’t forget to head into The Athlete’s Foot Wollongong for your new boots and mention our School. 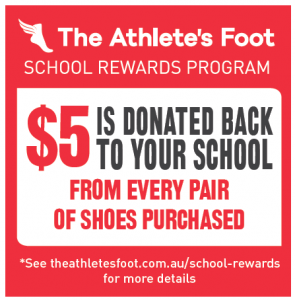 $5 is donated back to our school for any shoe purchased all year round. Let your family & friends know too. Play Under 6’s for Russell Vale ! Register via the myfootball.com.au site and be sure to use your $100 Active Kids voucher (If you want to apply for the Active Kids Voucher the Website is service.nsw.gov.au ) which will only see you paying $10 for the season! So ask your kids , neighbours , grand children , nieces, nephews ,friends or any other little ones if they’d like to play and get back to us at the club by the deadline is MONDAY 25TH FEBRUARY 2019 ! 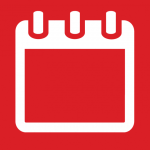 You can subscribe to the club calendar to keep up to date with events we add online. They will be automatically sync’d to your phone. Use the URL https://juniors.russellvalefootball.com/?ical=1 in your calendar of choice to subscribe.